Zion National Park is home to many different unique and beautiful animals. Animals like the California Condor, Mule Deer, and the Western Rattle Snake call Zion National Park home all year long. Those who will be visiting Zion National Park may get the chance to see another animal that can’t be seen in many places. The Bighorn Sheep of Zion National Park leave guests staring in awe as they precariously maneuver their hooved feet along steep and narrow cliffs. Guests who see these impressive sheep often recall the sighting as one of the most memorable things during their trip. Though not often talked about, Bighorn Sheep are just one more incredible thing to see while in the amazing Zion National Park. Bighorn Sheep are some of the most unique creatures in Zion National Park. They are closely related to Rocky Mountain Bighorn Sheep, but the Bighorn Sheep in Zion National Park are built for the hot, dry weather of Zion. They have long legs, small bodies, short coats, and can survive on only the water from the vegetation they consume for days at a time. Unlike most horned mammals, where only the males possess horns, both male and female Bighorn Sheep have horns. The female’s horns are shorter and less robust while the male’s horns are long, thick, and curve around their heads. These horns are used for ramming into other males to prove dominance. For many years, the population of Bighorn Sheep in the southern Utah area was dwindling. In the late seventies, they were reintroduced to the area to return the native species where it belonged and, ever since, the Bighorn Sheep population has been booming. While Bighorn Sheep may be seen on many mountains and cliffs, there are a few specific areas where guests are more likely to see them. In the areas of the Zion- Mt. Carmel Tunnel and the East Entrance of the park, it is common to see the Bighorn Sheep perched high on a rocky cliff, grazing on vegetation or, resting in the shade at the base of a cliff. Drivers should take care in these areas since Bighorn Sheep may cross the road unexpectedly. Bighorn Sheep are in the area year-round, but the best time to view them is once the cool weather moves in. With the peak of the mating season beginning in October, guests can hear them slamming their horns into each other to establish dominance, secure mating rights, and claim their territory. It is an incredible sight to see these creatures fighting precariously on a cliff’s edge. For a dose of cuteness, travelers can plan their trip around the arrival of baby Bighorn lambs. New born lambs can be seen from mid-January to late April since there is a six-month gestation period after the peak mating season in October. No matter what time of year visitors come to Zion, they will be delighted by the sight of these majestic, beautiful, and interesting animals. By observing the Bighorn Sheep of Zion from a safe distance, guests will be able to have a better appreciation of the unique wildlife of Zion National Park. Whether guests are visiting the area solely to observe the wildlife or they have come for outdoor activities but stumble across the wildlife in the process, Bighorn Sheep sightings will be a highlight of the trip. This entry was posted in area attraction1, Area Attractions, area info, Area Information, Attractions, National Parks, Photo Gallery, Things To Do, Travel Tips, travelling, Uncategorized on September 16, 2017 by OLWM. The sudden push to buy produce and other products from local sources is more than just a fad. It’s one of the best ways to help the environment, contribute to the local community, and get the freshest, healthiest products. Being able to enjoy locally sourced items is easy thanks to the St. George Downtown Farmers Market. Every Saturday throughout the summer, beginning on Saturday, May 13th and concluding on Saturday, October 28th, the Downtown Farmers Market will take place. Each Saturday, it will open at 8:00 am and close at 12:00 pm. The Downtown Farmers Market will be held at Ancestor Square. The exact location is 2 W St, George Blvd.#22- St. George. Over thirty local vendors will open tents and stands to sell their locally grown and made products. From vegetables and eggs to arts and crafts, there will be something for everyone at this location. Local vendors from the areas of Iron and Washington Counties will be selling organic produce, live plants, free-range eggs, grass-fed beef, homemade food items, handmade crafts, photography, and much more. Everything available has been either made or grown locally, so shoppers can be sure they are getting the best products while keeping their money in the community. To support local musicians, the center stage at the Farmers Market will feature live bands and musicians. These performers are from the local area and are sure to entertain. The lawn around the stage will be open to sit and enjoy the music. Shoppers can also listen to the music as they purchase their goods from the market. The St. George Downtown Farmers Market at Ancestors Square is the perfect place to do the weekly shopping, purchase home décor, and find unique gifts for friends and family. Shopping local means finding things that the big box stores don’t have and feeling proud of the purchases made. Get in on the action by shopping at the St. George Downtown Farmers Market. This entry was posted in about, Area Attractions, Area Events, area info, Area Information, Attractions, FREE Things To DO, St. George Area, Things To Do, Travel Tips, Uncategorized on April 13, 2017 by OLWM. Utah has some of the most beautiful national parks in the country. Load up in your family car for a fun-filled three day vacation to Zion, Bryce, and Capitol Reef in the southern part of the state. The first stop is Zion. Take the park’s free shuttle to sit back and enjoy the beautiful scenery as it follows the Virgin River. You’ll see some incredible emerald pools and majestic sandstone cliffs that are an amazing site to behold. Stretch your legs and take a hike on one of the many trails you’ll find in the park. The Visitor’s Center is where you can catch the shuttle and also has some very helpful information on hiking and camping. Restrooms and first aid are available too. The next stop is Bryce Canyon, with its surprising colorful rocks and easy walking trails. Stretch your legs and visit the Pink Ledges Trail in Red Canyon. Don’t miss the astonishing sunset at Paria View. You may be one of the lucky ones to catch a glimpse of a peregrine falcon. You and your family will love this less crowded park. Make sure you make time to hike the Sunset Point Trail. There’s a bench at the end of the trail where you’ll be able to sit and marvel at the Capitol-like domes, Moenkopi towers, and natural bridges. For an unforgettable view, be sure to see Sulphur Creek joining the Fremont River. Don’t forget your camera, sunscreen, comfortable walking shoes, and light jackets. You might even want to pack a picnic lunch with extra bottles of water. These parks can get very warm during the daytime, but will cool off during the evenings. This entry was posted in about, Area Attractions, Attractions, Things To Do, Travel Tips, travelling, Uncategorized on April 6, 2017 by OLWM. When it comes down to it, we really cannot think of a reason why people would not enjoy coming to St. George. It is the perfect family vacation spot year round! All it’s missing is the beach, but hey, we have Sand Hollow, close enough right? Here are some fun family activities to try when visiting St. George. 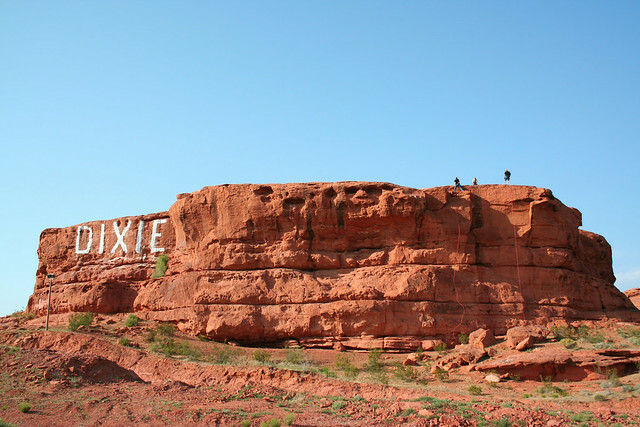 Also known as “Dixie Rock”, this is a fun family friendly hiking area that sits atop a hill overlooking St. George. Enjoy short hikes, historic “buildings”, picnic areas, slot canyons and so much more! Also located right next to Pioneer Park is The Desert Garden, which can be a fun and educational stroll. Depending on the time of year you are visiting, there will be different shows and events going on at Tuacahn no doubt! Some spectacular shows that have hit this amphitheater stage are The Little Mermaid, Tarzan and more! They also hold holiday shows like Halloweens Thriller! This Reservoir is the go to spot for families during the blazing hot summers. There are all kinds of fun things to do there, cliff jumping, tubing, Razors and so much more! We really truly believe that St. George is one of the best places to visit simply because Zion Natoional Park is right in our backyard! A mere 40 minute drive away. How lucky can you get?! This entry was posted in about, area attraction1, Area Attractions, Area Events, area info, Area Information, Attractions, FREE Things To DO, National Parks, Shopping!!! !, St. George Area, Theater & Film, Things To Do, Travel Tips, Uncategorized on March 28, 2017 by OLWM. St. George is famous for it’s magnificent outdoor experiences, hiking, horseback riding, biking, ATV tours and so much more. This place is known to be an adults outdoor playground. But what about the whole family? 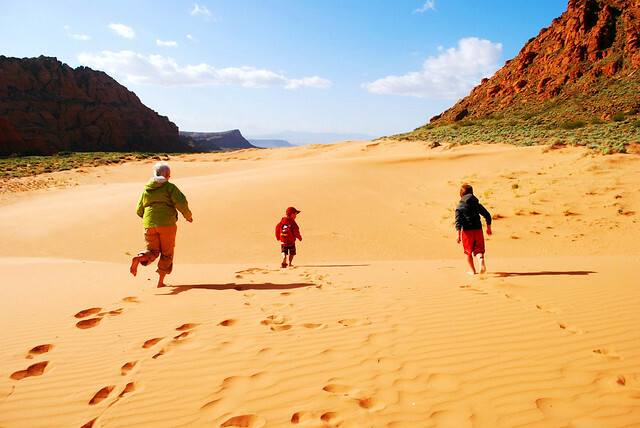 Another thing St. George is famous for is its family friendly hiking! Here are a few fun hikes to try out with the little ones that the whole family is bound to enjoy. There are not many people who know of Red Cliffs, and we aren’t really sure why! This place is really amazing and stunning and super fun to hike and explore. During the spring season when the snow melts from the mountains, spring water fills the canyons. You can hike through this water, slide down natural rock slides and even jump into deep pools! This is one of the best family hikes to go on when visiting St. George. One thing we really love about Snow Canyon is the variety of trails to hike. There are many easy, paved or even strenuous hikes to choose from. One of the best family activities in Snow Canyon would have to be the caves! hiking down into these caves are exciting, easy and fun for the entire family to enjoy! This is one of our favorite hidden gems here in St. George. at the top of main street, nestled in a small canyon under Skyline Dr. sits a quint, cozy, little park known as Brooks Nature Park. This park has a pond, theatre and a short hike to a water tower. All fun and enjoyable for the whole family! This entry was posted in area info, Area Information, Attractions, BW Coral Hills, southern, Things To Do on March 16, 2017 by OLWM. When I was a bit younger, the experience I had while travelling between Saint George and Provo together with my family along 1-15 was just a torture. On our way to Disneyland, Saint George and Las Vegas, small towns were just passing blur. Once in a while, we may have stopped at Nephi for lunch and to relax before shortly hitting the road again. However soon after, we could just get back to boredom hours. Even then, there are a few fascinating steps to make just along the way. These stopovers are the few that make the destination to be more fun and also a great adventure. You should have a stop- over in Scipio which is only one hour to Beaver’s north and one hour to the south of Provo at the center of Flying J Travel. There is an exceptional petting zoo here. This petting zone that is free has the ordinary type of animals that include sheep, goats, rabbits and chicken. Kids will definitely have fun keeping these animals that are very friendly and who are used to being hugged, touched and fed by these excited children. However, a petting zoo with your ordinary farm animals would not be adequate in getting many of the people to pull over what has been a semi -truck for a couple of years. Also available are ostriches, horses, zebras, alpacas and miniature horses. Unlike the small animals which are allowed to keep roaming with visitors round their enclosures, the animals that are more exotic stay behind fences. Even then, if tempted with some food pellets or hay, they will come just right over. It is very important that you watch out for your hands and fingers. Even though zebras are normally friendly, once in a while, they will take a nip at you. The ostrich may get aggressive a little bit, swing its big head and also peck at unsuspicious people. When you finish at the zoo, consider taking a walk to the busy clean Flying J, Burger King and select a cone of soft serve ice cream to enjoy even as you proceed down the road to the other adventurous part. 1. Playground at the Wild West Jordan- This is a playground whose theme centers on a main street in Utah. There are climbing walls, playhouse of multi-story which is made to look just like the ancient Saltair and much other playground equipment. 2. Hogle Zoo-Over the past few years, this zoo has undergone through a major transformation. Rocky shores, Asian Highlands and also Elephant Encounters are joined by the vast African Savanna where you will find four new lions. 3. Museum of Hill Aerospace- Situated near Roy, the aviation history and the U.S Air force unfolds massively at this museum. 4. Antelope Island- The biggest island at the western part of Utah situated at this Great Salt Lake. There is a sandy beach and many hiking trails. 5. Bean Life Science of Monte L- This is a science museum where you will get shows of live animals and family nights. 6. Art of Springville Museum- At Utah’s springville, the art museum gem is one which many people having lived for a long time in Utah may not have visited. Take a day in exploring this museum whose house is a stylish architecture of Spanish Moroccan. 7. The prehistoric museum of USU Eastern- The great museum has a split exhibit between anthropology and paleontology. 8. Falls of the Bridal Veil- The Provo Canyon is a beautiful cascade of double horsetail. There is a pool with shady picnic area and paved biking trails running down the canyon. 9. Discovery Park of Novel Children- Playground which has been built around the science of teaching kids. This entry was posted in Attractions, Things To Do on February 23, 2017 by OLWM. St. George is like the Vegas of Utah, except a lot less wild and a lot more beauty! It’s the place everyone wants to visit or move to. With moderate winters, Zion right down the road (basically) and over 300 days of sunshine, it’s hard to imagine why someone wouldn’t want to come to St. George for at least a weekend! St. George is full of fun things to do, some of those things are events that the community holds, some are just out there for you to enjoy. For example, once a month on the first Friday, St. George holds “George Street Fest”. This is an event that helps local businesses by allowing them to have booths for visitors to come and check out. There is live music, food trucks and so much more! Every George Street Fest is unique in its own way. There are a lot of things for kids to do here as well, with water parks, Fiesta Fun, Laser Mania, The Children’s Museum and more! You’ll never run out of things for the kiddos to do! This is something that St. George prides itself on. There are a plethora of different restaurants that are locally owned or franchised. Either way, there are so many options for dining that it makes it nearly impossible to choose where you want to eat! What keeps a lot of visitors coming back are our locally owned and operated restaurants, such as Cappelettis or Durangos! Dining in St. George is a wonderful experience. One of the main reasons people keep coming to St. George is for it’s captivating and breathtaking landscapes. Zion National Park, Bryce Canyon and Snow Canyon State Park are all within a very short distance of St. George. Making this one of the top places to stay when you are looking for some good family fun adventure and stunning sights. St. George is home to some of the best spas in Utah, with amazing staff that are extremely kind, caring and professional. Not only does that help with the relaxation side of things, but did someone say golf? That’s right, here in sunny St. George golfing is a year round sport due to our mild climate in the winters. So for top notch relaxation, it’s no wonder people choose to visit St. George. There are many more reasons people choose to visit St. George, it’s a small town with a big city feel, all while maintaining the beautiful natural surroundings. This entry was posted in about, area attraction1, area info, Area Information, Attractions, blog, BW Coral Hills, National Parks, Restaurants, southern, St. George Area, Things To Do on October 6, 2016 by OLWM. The sprawling 20,000-acre park, which rests mostly on USDI Bureau of Land Management (BLM) land, rivals Utah’s two largest state parks – Wasatch Mountain and Antelope Island. Sand Hollow already one of the most visited destinations in the Utah State Park system, with recreation opportunities for nearly every user from boaters to bikers, and OHV riders to equestrians. A favorite destination for local off-highway vehicle (OHV) enthusiasts, Sand Mountain provides 15,000 acres of perfectly sculpted dunes. The red sand is an incredible backdrop for Sand Hollow reservoir. At nearly twice the size of nearby Quail Creek Reservoir, Sand Hollow offers boating and other water recreation in a spectacular setting. Sand Hollow is located approximately 15 miles east of St George and seven miles east of the I-15 Hurricane Exit. 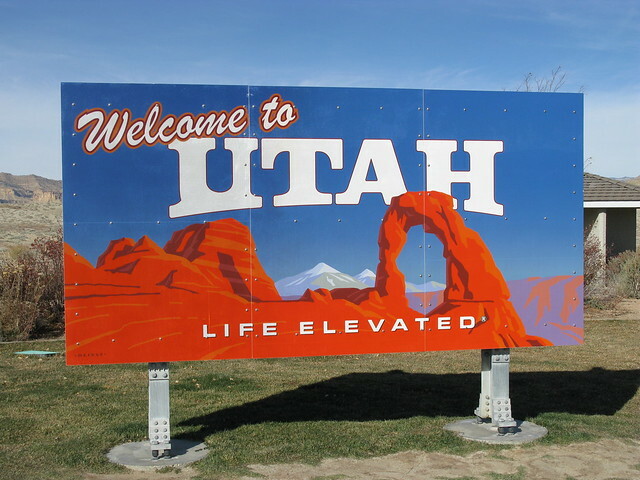 Visitors should exit I-15 at Exit 16 (Highway 9), travel east for about four miles and turn right on Sand Hollow Road, travel south for about three miles and turn left at the park entrance. I-15 to Exit 16- Hurricane and you are on your way to 3351 South Sand Hollow Road off of SR-9 in Hurricane Utah. (435) 680-0715. Located about 20 minutes away from Best Western Coral Hills. If you are pulling a boat the hotel has a lot of parking next door in our large dirt lot or in the back of the property if you want to avoid the dirt. This entry was posted in Attractions, blog, Things To Do and tagged sand hollow, st. george, state park on July 2, 2014 by Alan Myers. Ski Brian Head Ski Resort…SO MUCH FUN!!!! This Ski Resort is only one hour and 20 minutes from Best Western Coral Hills. When you are done on the slopes come back to St. George for a round of golf or relax in either the indoor or outdoor hot tubs. There is something for everyone at Brian Head from bunny hills to double black diamond, traditional snow skiing, tubing snow boarding and a great outdoor fire to rest by when you want to rest up a bit. They have plenty of gear to rent for you, your family, and the entire neighborhood. Every Saturday, Sunday and Holiday they have the bag jump available so you can practice all your jumps and flips safely. On your way up or on the way down be certain to stop and drive through Kolob Canyons, part of Zion National Park, just off of I-15. This entry was posted in Attractions, blog, Outfitters, Things To Do and tagged Brian Head, brian head resort, lift ticket deal, lift ticket special, ski resort, Ski st. george utah, snow skiing on January 24, 2014 by . Museums continue to pop up all around St. George. Museums in the area abound with history, education, natural wonders and art in St. Goerge. Here is a list with links and descriptions to many in the area. The list below each contains a hyperlink to its respective site, and the approximate distance from Best Western Coral Hills. St. George Children’s Museum – 3 blocks, the Newest addition to a great collection, well worth a visit especially for young children with a lot of energy. Many hands on exhibits. Samuel R. Knight Santa Clara History Museum – 5 miles, in the basement of the city offices. Western Sky Aviation Warbird Museum – 6 miles, a great collection of full and operational war planes. For a comprehensive list with addresses and phone numbers for area museums in and near Washington County click here. If we were to add another the next should be a location for a film and movies showcasing the development of the film industry and the many movies made in the Southern Utah area. Butch Cassidy and the Sundance Kid, a multiple of John Wayne westerns, and SciFi movies such as Galaxy Quest and others. Much of the feature film The Fly Boys was filmed in St. George proper just blocks away from the Best Western Coral Hills property. This entry was posted in Attractions, blog, St. George Area and tagged art museum, childrens museum, dinosaur museum, histroy museum, Museum, plane museum, rosenbruch museum, st. george, st. george utah, st. goerge, utah, washington county on November 21, 2013 by .